Today’s card is being featured on Stylin’ Stampin’ Inkspiration. The challenge was to create a shaker card. 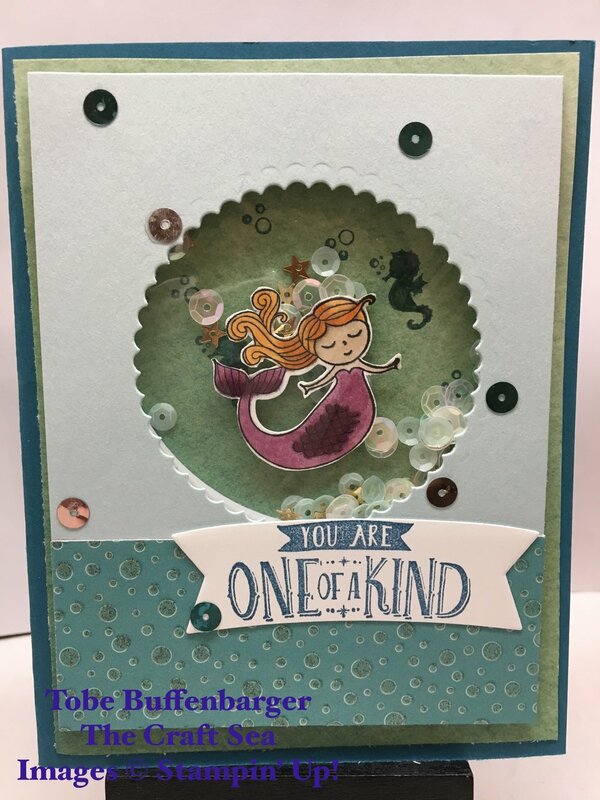 I immediately knew that I wanted to make a fun mermaid in the sea shaker card! I took a piece of DSP that reminded me of the sea and stamped on a few bubbles and seahorses. From there I stamped, colored, and die cut my mermaid. I propped her up on dimensionally and added a ton of sequins. I kept my overall piece simple with a piece of patterned paper, a sentiment, and a few sequins for embellishments.